The United Nations has condemned US sanctions against Cuba, renewing decades-long calls on Washington to remove the unilateral bans against the South American country. According to Press TV, the UN General Assembly adopted a resolution on Thursday that was signed by 189 nations and urged Washington to end the embargo that has been in place for over 50 years. 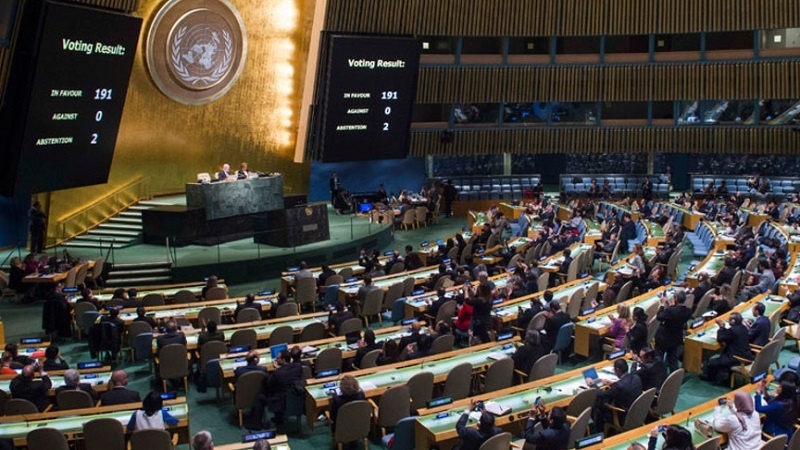 This was the 27th time that the world body was voting in favor of the decision. The US had proposed making eight amendments to the resolution but failed as all of them were dropped by the UN. Besides the US, only Zionist regime and Ukraine voted in favor of those amendments. The Marshall Islands also joined the group in one vote. Upon presenting the document, Cuban Foreign Minister Bruno Rodriguez blasted the US blockade as a “blatant, massive and systematic” breach of the rights of his countrymen, adding that it presented “obstacles to the well-being of several generations” by denying access to US-produced medicines and medical technology. “Blockade is an act of aggression and economic war that violates peace and global order, and is at variance with the aims and principles of the United Nations Charter,” he said. “The US government does not have the least moral authority for criticizing Cuba or anyone else with regards to human rights,” the foreign minister added. Reacting to the measure, US Ambassador to the UN Nikki Haley said the embargo would stay in place unless Cuba showed respect for what she referred to as human rights. This is while in December 2014, then US President Barack Obama admitted that Washington’s policy towards Havana had failed and it was about time the two countries start moving towards normalizing bilateral relations. However, the attempt at rapprochement was brought to a halt after Donald Trump’s election victory.